Silky rich and indulgent, this mocha frosting is luxuriously smooth and a perfect frosting for any chocolate cake, or brownies! 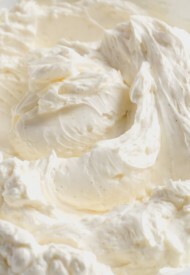 Oh my goodness, if I could, I would totally eat this frosting by a spoon. I mean, technically I can eat it by spoonful, of course. I’m an adult and I can do whatever I want to, right? But then I also have to deal with the consequences, like extra thick mid-section, possible stomachache, etc. Anyway, if you’ve been around for a little while, you may know I’m not a huge fan of buttercream. I love chocolate mousse filling. 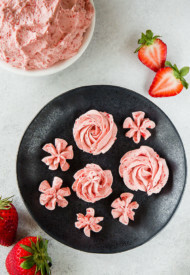 Cream cheese frosting is my go-to. And if I feel extra fancy, I opt for fluffy swiss meringue buttercream. 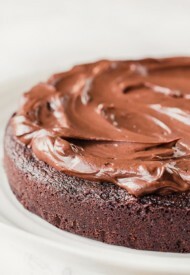 And this mocha frosting has been one of my favorites for any kind of chocolate cakes. 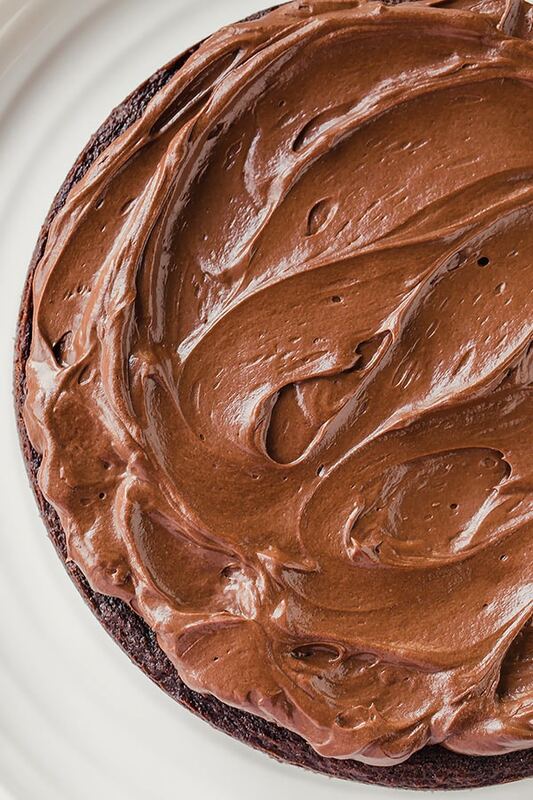 This frosting is seriously indulgent, silky smooth and oh-so-rich. Rich in a good way. It’s like you’re getting a bite of luxury chocolate truffle, or like a filling of Lindt chocolate. Imagine a cake filled with Lindt chocolate truffles? Amazing, right? Well, this’s sort of like that!!! 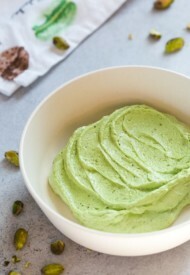 I got this recipe from Ina Garten’s “Make It Ahead: A Barefood Contessa Cookbook”. And you know, Ina is a rock-star. Her recipes never disappoint!! Rich chocolate enriched with espresso, this rich mocha frosting is silky smooth and compliments any chocolate cake or brownies!! One word: indulgent!!! In a medium bowl, combine chocolate, butter and espresso powder. 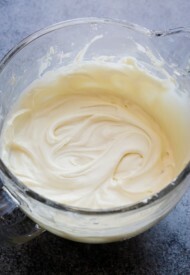 In a small saucepan, heat the cream to simmer over medium heat. 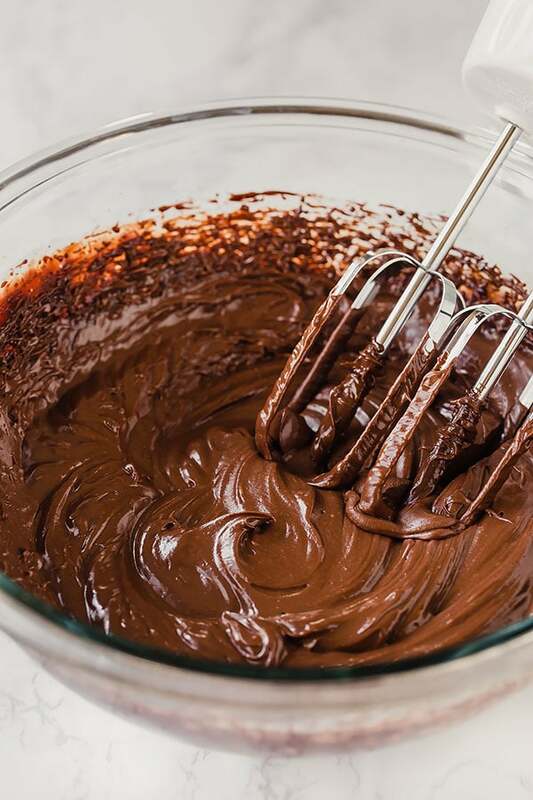 Pour it over the chocolate and mix until the chocolate is melted and the mixture is nice and smooth. If needed, warm up the mixture in the microwave for 30 seconds. Add Kahlúa and vanilla extract. Cover and refrigerate for no longer than 30 minutes. The mixture should be cool, but not cold. Beat the chocolate mixture on medium high speed until soft peaks form. Make sure not to overbeat the frosting, or the frosting may curdle. Original recipe from Ina Garten’s “Make It Ahead: A Barefood Contessa Cookbook”.